As I am writing this article of my magnificent and once in a lifetime road trip on the Jeep Wrangler Sahara while hiding from the ridonculous haze, it is happy 9th birthday to me! Yes, my friends. I, Flapper Choo, am officially 9 years old. I feel proud that despite my wise age, I am fit, healthy and able to carry out these wonderful adventures. Oh yes! Have you seen the freshly released Action Cam microsite? Released just in time for birthday! Woohoo! I have always dreamt of those cross-country drives, visiting different cities and different towns. Reality check. Singapore is Singapore. A city. A town. A country. All in one. But there is no rule book that says I cannot imagine myself doing a cross-country road trip. A round Singapore road trip also can. Lah. The first thought that came to my mind was, "ooohhh... I would like to go on one of those Jeep." Sorry guys, those Porsche and Lamborghini are more my yuppie brother, Frodo. I love sturdy and stable. I love the 4x4. I love the Jeep. But mummy looked at me and said, "I have no idea how I am going to get you a Jeep, Flapper. I doubt they will ever loan us one." So we discussed and mummy suggested those single cab pick-ups. If the companies are not willing to sponsor, at least it will not eat too into my birthday budget. I started emailing some truck rental companies. There is this really weird culture here with our local companies. From the beginning of the campaign, other than those who are willing to help, It seems that all the others can't even send out a courtesy rejection letter. I got duly ignored and no replies. Like before, mummy followed up by calling so eh yeah, no go. Never thought it would be this tough to rent a pick-up. 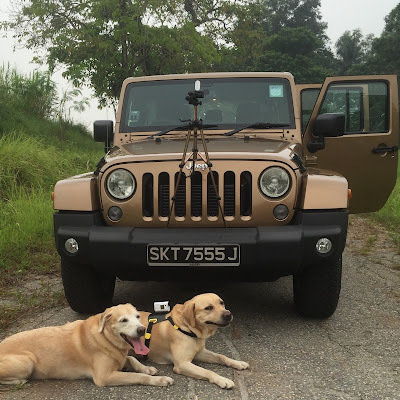 Not content to let this adventure slip by, I decided to drop a message on Jeep Owners' Club Singapore to see if there might be any Jeep owner who might be willing to help. 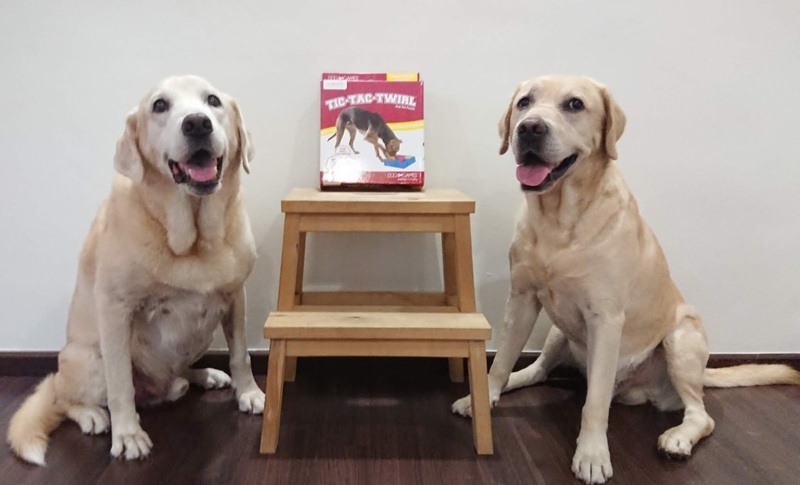 The kind administrator had contacted Chrysler Jeep of Singapore on my behalf and I could not believe my eyes when I read, "they are interested in helping cute Flppaer, Frodo and you (mummy) out in your wishlist." Mummy quickly made contact with Chrysler Jeep of Singapore. After a quick discussion and official email to them, we got the big YES about one and a half week later. I wagged my tail with joy and quickly contacted Uncle Choo for help to be our designated driver. Uncle Choo very kindly took one day leave to help Frodo and me out with this big adventure. Uncle Nic had prior engagement but at the last minute, he said he could squeeze some time out to join us for most part of the adventure. So you see, for every one adventure I go on, there is always a story, a challenge... and a whole lot of rejection before something good happens. It is a constant reminder to look at the bright side, take the many rejections in stride and surely that rainbow will shine someday, somehow. That rainbow did shine with gazillion thanks to Chrysler Jeep of Singapore. That one 'yes' compensated for all the 'no'. That was all I needed. And of course, not forgetting my faithful Uncle Nic who has stood by me since the campaign started. From the day Chrysler Jeep of Singapore gave the affirmative to the day of this grand road, I had just about five days to plan the route. Mummy and I had very serious discussions about bringing my rascal brother, Frodo, along. So mummy and I studied the map and drew up a rough plan of places I have not been before. Places where Frodo and I could actually run. I think we came up with a pretty good plan. Other than Mount Faber, we were exploring new grounds. We had to plan for where the humans could feed themselves too. Time to email for approvals of our (Frodo and me) blonde presence. Again. Then we prayed for good weather. Then we just said, "Que sera sera". A very memorable adventure. We (Frodo and I) got to explore so many different places in a day. It was just a shame that the haze got progressively worse through the day so we did not manage to capture the pretty skyline with the Action Cam. But still, we were very blessed to begin the adventure with pleasant weather for most part of the day before the haze kicked in. For this adventure, we decided to do things a little differently and at this late point of the campaign, surely we can stretch the capability of the Action Cam a lot more. First, mummy and I decided that the Action Cam should go on Frodo this time just to give viewers POV from a different dog. I did put back on the Action Cam now and again. After many moons and months of figuring out how to get decent dog's POV with the Action Cam, our (Frodo and me) POV came out decent. Phew! Read mummy's tips and tricks on using the dog harness. My rascal brother, Frodo, wearing the Action Cam. As Uncle Nic had his earlier engagement, so he did not lug his usual heavy bag of equipments. So mummy and Uncle Nic decided to use another make-shift mount. mummy found it in her toot van and found its lightweight useful. So yeeeppp! 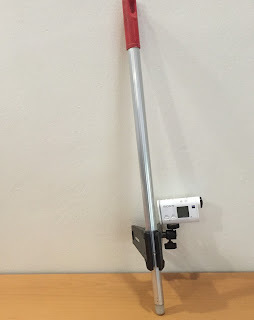 Instead of using some monopod or whatever pod, we used the clip mount on this god-knows-where-it-came-from aluminium broom stick and tadah! That's how Uncle Nic took videos of us. Yay! Fortunately for the Jeep's sensible utility design, we were able to charge the battery between locations to last through this full day adventure. Frodo and Action Cam recharging between locations. The travel charger is a must-have for all adventure seekers using the Action Cam. This road trip is what we (Mummy and I) call the 'epic Action Cam adventure' thus far. We captured Frodo and I in action, Frodo and my POV (at different times, at the same time), handheld and still mount road/scenery images while driving, "time-lapse" motion, Frodo's head sticking out of the window.... we tried everything (almost) 'Action Cam' as much as we could. Unlike the start of the campaign where we ended up many NG (no good) footages, we captured many good footages for this adventure - except one section where mummy had unknowingly smeared half the camera lens with her finger print. Editing was very difficult especially when many of Frodo's POV came out sharp and stable. Mummy to me, "Flapper, when the camera is on you, I see a lot of me. Frodo... very bo-eng (busy). Here, there and everywhere... everything else but us (Mummy and me)." "I love love LOVE the Jeep. You see, I am no car ride boy. That's Frodo thus he got the front seat and did that ears flapping with the wind thing. Those footages of me enthusiastically jumping into the Jeep? That's for real. I was actually happy to get into the Jeep! The Jeep has good road holding and it was comfortable for us doggies. After we returned the Wrangler, I was reluctant to get back into mummy's toot van. Mummy to me, "Flapper, you have expensive taste (not as expensive as Frodo but still expensive). You love this $250,000 vehicle, huh?" 4-paws because I had to return the Jeep. i-sigh. Overall, a very nice drive. Turbo diesel model. Comfortable drive, takes the bumps well, easy to drive, surprisingly easy to gauge despite presence on the road. Easy switch from 2WD to AWD (High & Low) for off roading, though very minimal. Handles off road decently with very respectable passenger comfort. Good Alpine sound system for entertainment. Very adequate air-conditioning to handle Singapore's climate. Surprisingly good mileage. Overall distance travelled about 150km for the day but only used less than a quarter tank of diesel. Good torque to handle the climb at Mount Faber. Very big turning radius which makes U-turning an event. Takes 2.5 to 3 lanes. Surprisingly cramp driver space or.... I may be fat. Brake and accelerator obstable when trying to switch. I was wearing sneakers but that ought not to be an issue. This is a potential safety hazard when one is reacting to emergency situations and might panic. Naggy mummy constantly buzzes in my flappy ears that I must always gives thanks. 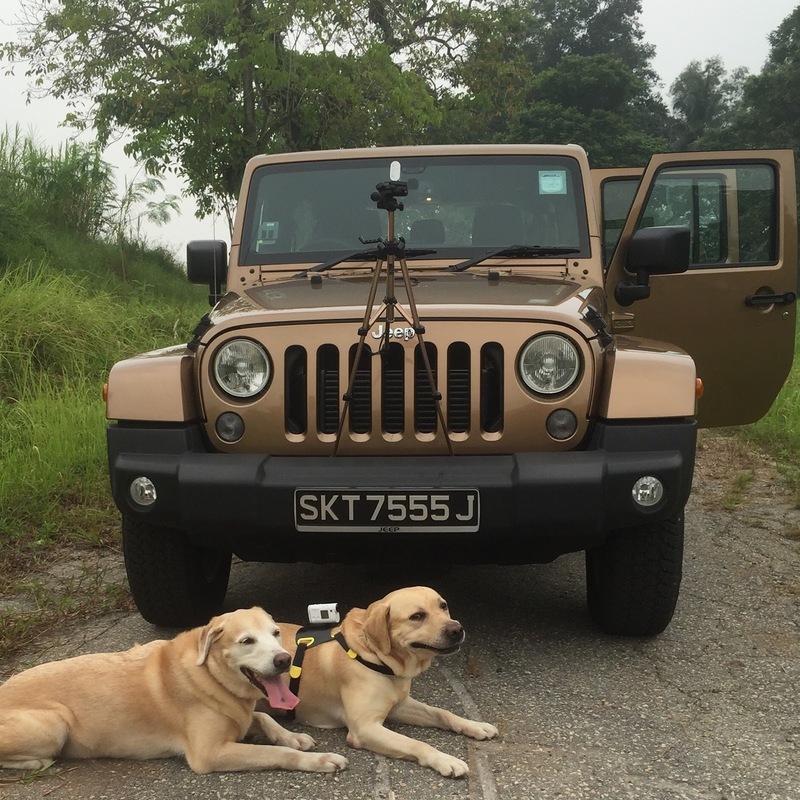 Chrysler Jeep of Singapore for one day sponsorship this awesome Jeep Wrangler Sahara to run this epic road trip adventure. This memorable road trip was made possible because you said yes. And thank you for being so so nice to Frodo and me! Uncle Nic of Furry Photos Pet Photography for squeezing those precious few hours out to help me out with this adventure... and for all those gorgeous gorgeous photos that are used for the Action Cam microsite. Uncle Choo for taking leave to be our designated drive for this one day road trip. Sony Singapore for the Action Cam 4K and choosing me as an influencer for this campaign. This drives the "adrenaline junkie" in me. And now... time to start work on my final (or is it?) video.